1. How can I distinguish between core and elective courses on the website. I was not able to do it. 2. Is there a separate section to detail about international experience or is it just the radio button (Y,N) that needs to be selected? 1. Following are the core courses in current year - Competition and Strategy, Business Law, Managerial Economics, Macroeconomics, Emerging Economies, Financial Reporting and Analysis, Cost Management, Corporate Finance, Corporate governance & ethics, Managing People and Performance in Organizations, Designing organizations, Marketing Management, Operations Management. Quantitative Analysis and Modeling, Entrepreneurial Management. Rest of the subjects listed on EPGP webpage are electives; However, list it is not a comprehensive list as new electives keep getting added to the course and also depend on students' inclination. Does EPGP students get to work on research work conducted by Centres of Excellence? 1) Do we need to send the official GMAT score to IIMB now, or is it needed post the interview. As of now i have uploaded the official student copy of my GMAT score and the section is validated. 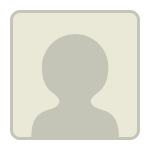 I have just over 6 years of experience working as a Business intelligence and Analytics specialist. I have worked with consulting,aerospace,defense and aviation,manufacturing companies over the years.Currently i work with a global bank in Asset Management technology. I have decent acads (Xth-86%,XIIth-85%,Btech-8.4/10) and fairly good extracurriculars.What i dont have is a good GMAT score. I have only a 640. Should i apply to this progam or should i work on improving my GMAT score? I would like some information from EPGP students (preferably women) with families and young children. Is it possible for me to reach out to one of the previous batch students or their families for more detailed information on Schools/ChildCare etc? There is no official cutoff for GMAT score and admissions are offered based on the complete profile. Last year's GMAT score range is 660 - 760. I would encourage you to apply with this score in case it is not possible for you to improve it before the application deadline. Is this the valid link for interview call shortlist. I'm an in an international location and expecting a skype interview. This link tells me Incorrect application number for my 12 digit application number. Hi, Is your issue resolved? Please call the admissions office during IST working hours, for technical issues. Will IIMB admission committee let the applicants know if they are NOT shortlisted or is it like if there are no further updates, one can assume that he/she didn't make it ? 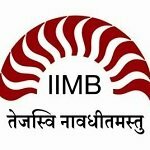 Does IIM Bangalore accepts students applying for second mba. Is there any requirement for minimum work experience at the time of applying. I have 3 years work experience post first MBA. Also, what are the average GMAT score and post mba placement scenario. Hi, We have students in current batch who already have an MBA degree so the answer to your first question should be yes. Minimum Experience required is 4 years. GMAT score range for the current batch is 660 to 760. Please refer the placement brochure on the EPGP website for details about placements. Hi All, i am looking for some honest feedback and If I really have a shot with the king of GMAT score I have ? 2012 January to 2012 July - Started a website to sell old books online by aggregating old books stores in bangalore. Lost interest due to financial problems . Flopped u can say. ( Does this add value ? ) Can't prove it also now !! Planning to take up 1 year mba in operations. Do i have any chance at IIM B EPGP ? GMAT score is just one aspect of the application and is never by itself a make or break factor. Since, you have a competitive profile and a standout factor of a startup, I would encourage you to apply, highlighting your strengths in the application. Are you a prospective MBA candidate looking to get into IIMB's One Year full time residential MBA program(EPGP)? Here is something that will interest you! IIMB EPGP proudly announces its pioneering initiative of engaging with prospective students. Be a part of Sammantran 2015 and get to spend a fantastic day at IIMB EPGP. - Network with Current EPGP batch and alumni. - Meet industry leaders, eminent academicians, policy advocates & investors. - Hear thought provoking insights on the India's Unorganized Sector. - Witness India's top B school students vie for glory in 'Nirmiti' and 'Abhyas'. - Explore the serene campus of IIM Bangalore. - A lavish lunch and refreshments. Don't miss this exclusive opportunity! I wanted to know if there were any student ambassadors for the program. How can i get in touch with any current students or Alumni to learn more about the program. I have certain questions pertaining to the structure of the program and also regarding the prospects of this program related to career prospects post epgp specifically for a guy with 5.5-6 years experience given majority of the class will have at least 8-9 years of experience. Any suggestions/help will be really great.